Here are some thoughts on the Buccaneers’ 27-14 victory over the Bills in their third preseason game. This unit keeps getting better. After a sloppy start, the offense rebounded for a more-than-respectable first half. Josh McCown had his best performance of the preseason: 13-16, 112 yards and a 24-yard touchdown pass to rookie Mike Evans. Unlike last week, Evans hung onto the ball this time. Doug Martin also found the end zone from one yard out. McCown also led an 82-yard scoring drive, something else the team had been lacking until now. The Bucs scored 24 points in the first half. Let that sink in for a moment. The defense was stingy once again, holding Buffalo to just 82 yards in the first half. But for first time this preseason, we saw their ability to create turnovers: three of them in fact. Clinton McDonald returned a fumble for a touchdown. Dashon Goldson picked off E.J. Manuel. Lavonte David forced a fumble which set up Martin’s TD run. You know Lovie Smith, who prides himself on forcing takeaways, was pleased with the effort. The Bucs wrap up the preseason on Thursday night against the Washington Redskins. The Tampa Bay Buccaneers’ new-found soap opera rolls into Foxboro this weekend for a matchup with the undefeated Patriots. So, how many penalties will the Bucs end up with this time around? They had 13 in Week 1, and ten more in Week 2. The flags have been very costly. 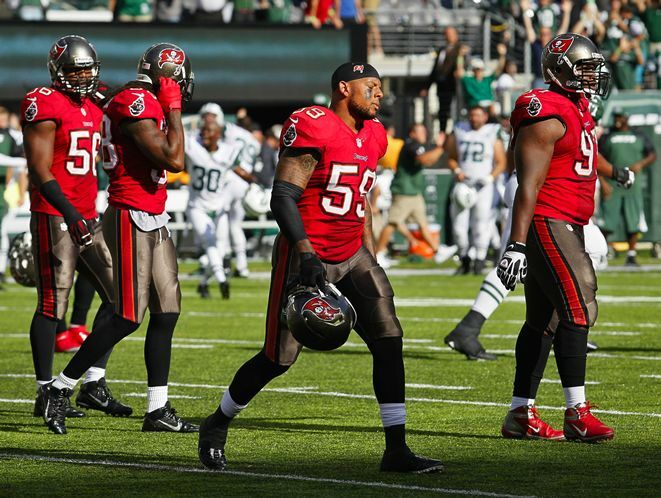 Can the Bucs clean up their act in a hurry? They’re going to have to, for them to have any chance to get a win in New England. Josh Freeman is completing just 45% of his passes through the first two games. 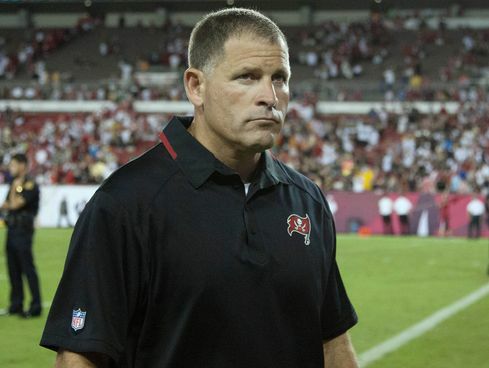 There are still plenty of rumblings surrounding his relationship with head coach Greg Schiano. We’ll let the local/national media deal with those “reports.” All we know is Freeman’s on-field performance has been less than subpar so far. Dashon Goldson will play against the Patriots. His one-game suspension for his hit on Darren Sproles was overturned this week, though Goldson was fined $100,000. With everything surround the Bucs these days, Doug Martin is not a player to be concerned with. He’s rushed for over 200 yards through the first two games. The Patriots are off to a 2-0 start, though a lot of the talk has been about how un-Patriot-like they’ve played so far. You have to think – eventually they’re going to break out of their funk. Kickoff is Sunday at 1:00 on FOX. For the third week in a row, your announcers are Kevin Burkhardt and John Lynch. Lynch has had pretty of time already to criticize his former team. 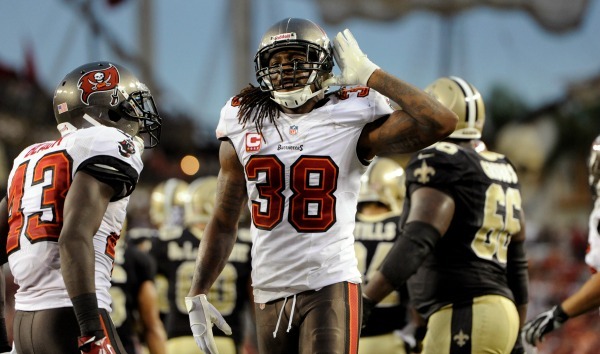 UPDATED 9/18: Dashon Goldson will be able to play against New England after all. On Wednesday morning, the NFL overturned his suspension. As if the first two games of the season weren’t painful enough, the Bucs will play the next one without hard-hitting safety Dashon Goldson. Goldson was suspended for one game without pay on Monday for his helmet-to-helmet hit on Darren Sproles during Sunday’s loss to the Saints. 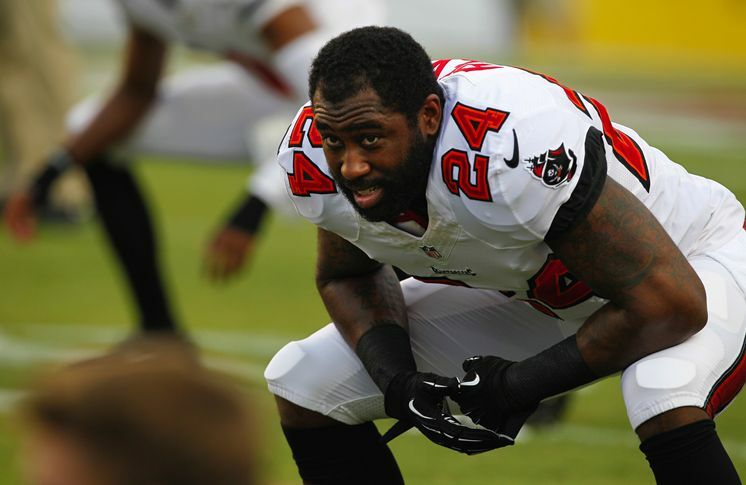 Goldson has a knack for drawing personal foul penalties over the past few years. I questioned the two he received in the opener against the Jets. But this hit was definitely helmet-to-helmet contact. He got fined for his actions against the Jets, and now he’s been suspended for next Sunday’s game against New England. Bottom line: Goldson needs to clean up his act. I know he’s a hard-hitting safety, but if the refs are going to keep penalizing him for the way he hits, he needs to adjust, whether he wants to or not.